At Allwood Forlenza Insurance Agency, we help our clients find the insurance policy that both effectively and affordably protects their assets. 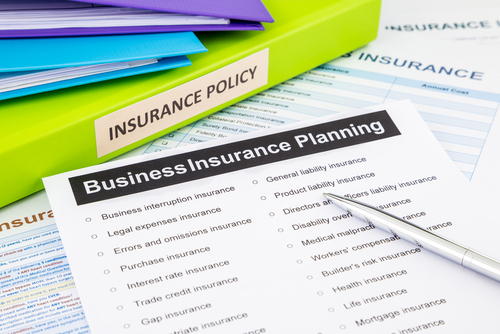 However, we understand that compared to personal policy holders, business owners face unique risks, and as such require specialized insurance coverage. From seasoned professionals to young entrepreneurs, we work one-on-one with a variety of business owners in Fairfield, NJ and the surrounding areas to help them find the right commercial policy. By working with a number of trusted carriers such as Nationwide, Hartford and Liberty Mutual, we are able to offer businesses of all shapes and sizes a variety of competitive policies. We then pare these down to find the best option. For small to medium-sized business owners, we also offer the option to bundle coverage in the form of a business owners policy (BOP) for increased protection and savings. We also offer a multitude of industry specific coverage, and often write policies for individuals who hold positions such as a contractor, landscaper, or property manager. For more information on our products and services, please contact an agent at your convenience. Our agents understand that that there are numerous reasons for a new or updated commercial policy. Whether our clients are renovating an office space or just opening their doors, we have the coverage that fits their needs. Many of our experienced agents also have a background in real estate or property management, and are valuable assets for many of our clients in the industry. To learn more about how we can protect your business, request a quote.